The Energy Regulation Board (ERB) says it is concerned reports of increased illegal fuel vending activities in Mufumbwe and Mwinilunga districts respectively , Western province. Acting Director for Consumer and Public Affairs Fred Hang’andu says reports reaching the Board are that illegal fuel vendors are taking advantage of desperate motorists in Mufumbwe and Mwinilunga by selling the commodity at excessive prices. Mr. Hang’andu has noted that the only licensed facility in Mwinilunga and surrounding areas is operated by Petrolink Limited which currently has no fuel. He said despite the scarcity of fuel stocks at its filling station, Petrolink management has assured motorists in the area that all efforts are being made to deliver fuel as soon as possible. 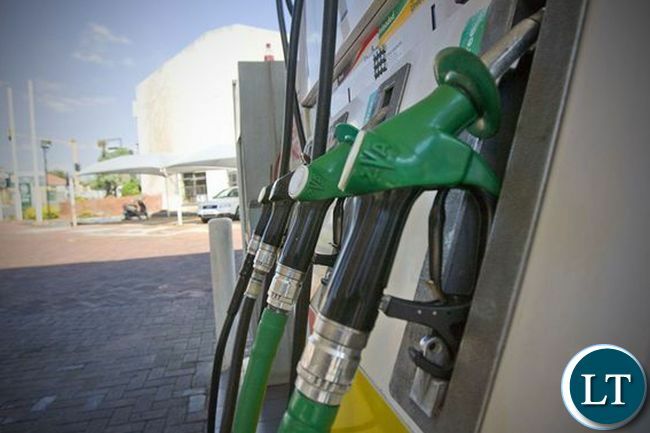 “We wish to caution motorists against buying from illegal vendors as the product quality cannot be guaranteed because illegal vendors are not amendable to stringent product quality requirements applicable to licensed filling stations,” he added. Mr. Hang’andu has however warned illegal fuel vendors of risking to be arrested as operating an energy enterprise without a duly issued license is an offence punishable by law. He also stressed that storing fuel at facilities and homes that do not offer sufficient protection to human life poses a risk to families and communities in the event of a fire. He further called upon investors to take advantage of the ready market for fuel by setting up service stations in areas like Mufumbwe which currently has no filling station. He has however, mentioned that a number of initiatives have been put in place to enable the set-up of filling stations in deficit areas. The Acting Director for Consumer and Public Affairs said this in a statement obtained by ZANIS , today.